Marlin is from California. He chose to come to Loyola because he got the best scholarship and New Orleans is a very interesting city. So far, he loves the city—there’s great people and great food! Marlin checks out laptops and course reserves. He also works in the library, so he knows where to find what he needs! Marlin says “it’s a pretty good library and they’re good at giving students what they need.” He finds the library’s hours very helpful, especially at night. Celebrate Constitution Day at the Monroe Library on September 17, 2011. Former Loyola College of Music professor Stephen Dankner donated a collection of his music scores and other papers to Loyola after moving to Massachusetts in 2006. The husband of former Loyola music librarian Laura Dankner, Stephen is a prolific composer and educator who has won awards and commissions from around the world. 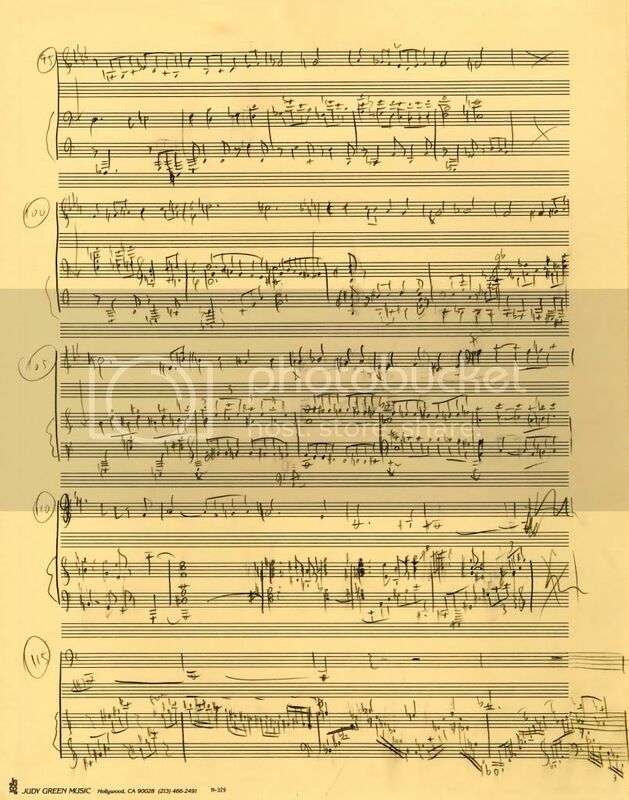 The majority of the items in this collection are original holograph scores and parts by Dankner as well as sketches (rough-draft pencil outlines for pieces, usually incomplete), printed scores, and research notes. In addition to scores, the collection includes correspondence to and from copyright agencies, friends, performers, publishing companies, record labels, recording studios, and teachers; and concert programs, newspaper and electronic reviews, press releases, and photos. A large portion of the collection is dedicated to the creation and premiere by the Louisiana Philharmonic Orchestra of Symphony No. 5: Odyssey of Faith (2001)—a performance which featured the Loyola University Chorale and soprano and baritone soloists Ellen and Philip Frohnmayer, both College of Music and Fine Arts voice faculty. The items in the collection give a rare insight into the compositional process as well as the business of being a composer. The finding aid for the collection can be viewed here. The Stephen Dankner Collection of Musical Works and Papers is open for research use in the Monroe Library’s Special Collections & Archives. Special Collections (Room 333, Monroe Library ) is open Monday – Friday from 8:30am to 4:45pm. For more on Stephen Dankner, search the Monroe Library catalog. Recommending a book that in a single year has won the National Book Award, the Pulitzer Prize for Fiction, and is being made into an HBO mini-series may not be particularly original. But when the book is this good, it’s easy to jump on the accolades bandwagon. Jennifer Egan’s A Visit From the Goon Squad resembles a collection of linked short stories more so than a novel, though that is how some critics have characterized it. The common thread among the stories is music producer Bennie Salazar—while each chapter concerns a different central character, they all have some sort of connection to Salazar. The titular “goon” is time. The stories take place anywhere from 1973 to 2020, and each of the characters suffers drastically from the ageing process. Rarely is growing old as socially and economically damning as in the entertainment business, where many of the characters begin their careers. Despite the vastly varying backgrounds of the central characters, Egan succeeds in creating entirely new voices for each of them. If you’re having a difficult time keeping track of the characters or the chronology of the book, no worries—the blog Ready When You Are, C.B. has a number of charts, pictures and graphs to help you get things straightened out. A Visit From the Goon Squad is at once sweet, sad, funny, and poignant. This is a book that will keep you thinking about it long after you’ve put it down. Damir is from Sarajevo, Bosnia. He came to Loyola in 2008 on a basketball scholarship. He says that choosing Loyola is probably the best decision he’s ever made–he’s having a great time and his education will help him get a job “somewhere in the world” after graduation. He’s really thankful to all the people that helped him come to Loyola. Damir checks out laptops, DVDs, reserve books for classes, and other library materials. He also prints everything that he needs for his classes. The library could place more emphasis on recycling. There’s a lot paper waste that could go in the recycling bins. Also, the computers in the Learning Commons could use an update. You are currently browsing the Library Lagniappe blog archives for September, 2011.